When quality dental care is offered for such low cost, there’s no reason not to get it. A recent estimate shows that 66% of Americans lack dental insurance coverage. Most of these people are middle-class or low-income Americans who often don’t have the resources to handle a big dental operation if a problem comes up. How many of that 66% are going for their regular check-ups in any case? It’s hard to know. What we do know is that too few are taking advantage of an option open to everyone: low income dental care (or better stated: low cost/highly discounted dental care) at a dental school. 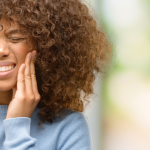 Here are our top 5 reasons why you can’t pass up this option: and why Philadelphia’s Penn Dental Medicine should be your preferred provider. Super low-cost care. That´s right: we charge at a fraction of the normal cost for any dental operation, large or small. This is possible because our principal mission is educational, allowing us to operate like a not-for-profit dental institution. Highly motivated dentists. Your primary care provider is a student dentist at the final phase of his or her training. You can be sure that he or she will be putting a lot of effort and care into the attention you are given. He/she is ready for success! Supervision by top dentists. Professors supervise student dentists throughout the process, a factor to your advantage. You’ll get the benefit of at least two dentists’ input on your treatment plan. 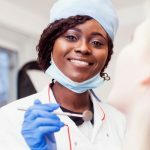 Your supervising dentist has years of experience and knows about the most recent techniques and research, which is a perk that most low income dental options will never offer. An ivy league standard. 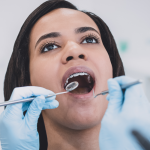 Unlike what you’ll get from cheap dental clinics, where you might get the minimum treatment for minimal pay, at Penn you can count on a high standard of care. You will be treated just the same as if you were paying much more. Trust the Penn reputation for great dental care. Local care. Penn Dental Medicine is located centrally in west Philadelphia. You can get to us by car, bus, trolley, subway, or train– (see directions). We also occasionally receive patients coming from farther away, such as New Jersey or other parts of Pennsylvania. So whether you’re living in the city, the greater Philadelphia area, or beyond, we are glad to have you! 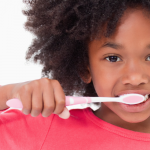 Low income dental care doesn’t have to be only for those faced with low income. At Penn Dental Medicine, it’s for anyone looking for high quality care at low cost and is willing to go through our dental school´s process for care. We welcome your phone calls and applications. Choose Penn Dental Medicine!